Have you ever wanted to become a runner? Don’t know how and where to start as a beginner? Here is a guide to help you start and stick with it for seeing yourself a runner as well as fitness professional. 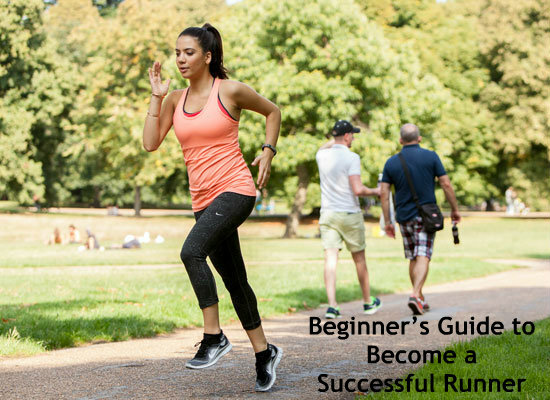 If you were discouraged by thinking running is so hard, then read the following tips to enhance workout from walking to running without any hitch! Read useful tips to prevent heart diseases. It is very essential to find the best running shoes for your body; otherwise you will be faced with injuries that will demolish even your intentions. Don’t choose shoes based on styles or colors. Get the most comfortable and well analyzed and recommended brands and models from the reputed stores so that they will last awhile. Generally while you are running, the shoes should give the extreme comfort from the day one. With any workout, you must need the rights to make to stay safe, comfortable and happy to quick-start your running campaign. A perfect planning of running will answer the most common questions like what to eat, where to run, when to go and checking the weather condition so that you will know whether you have got ready for the run and such kind of checklist will give you energy in doing your task with full boost. Don’t start off with running as your new and all time hobby, as if you are a marathon runner. At the very beginning, running without stopping for a minute will be hard, but this should not discourage you. Keep up your stamina and your expectations to the maxima, be realistic and run at your own pace. Don’t compare with others as there exist lots of variations and intensity levels in each and every individual. Every time you run, keep in mind to rest for a few minutes for soothing your body and take relax for a while. This will not only increase your stamina by varying heart rates will help you stay fit and healthy all the time. Do some postures and warm up exercises to your best before you take off a shower. Try doing simple stretches to help you relive from aches, soreness and increase your flexibility which helps in preventing injuries. Like always in other terms, workout plans and goals will help you stay motivated. Be more realistic while sticking with your running regime like sign up for a race and give it your best. Even if you run to cut off your calories, don’t think it as the sole reason why you run because it may lead you with inferiority complex that you are not seeing fast results. Notice yourself while running and fix better postures and alignment so that you can prevent injuries. Slot down your mistakes on the way you run and keep your form in mind when you run. Always move with free neck, relax your shoulders, engage your abs, keep your arms swinging front and back, and raise your knees up to your abs for intense running workouts. If you want to become a fitness addict or a better runner, then you have got to do lots of things more than a run. Cross training can very well help you out in strengthening your other part of muscles that running ignores. There are so many gym accessories available in fitness stores that help you do a sequence of workouts to strengthen your muscles even stronger and increase your core stability as like an exercise ball. You can also try with cardio workouts like using treadmill or elliptical that can improve your metabolic rates. Sophie Natasha is a fitness addict who loves to spread awareness about health problems, related issues and how to stuffs for a healthy and happy life.